True Potential LLP is one of the UK’s most innovative financial services groups. 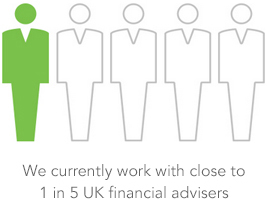 We currently work with close to 20% of UK financial advisers and provide products and technology to over 1.4 million private clients. Our aim is to revolutionise the way wealth management is delivered. We believe that by using technology to deliver financial services, we empower financial advisers and their clients to take control of their futures. ‘Best Platform Provider (AUM under £25bn)’ at the Schroders UK Platform Awards for the second year running. Most Innovative Financial Services Group at the 2018 UK Enterprise Awards. Became the first company to win two European Business Awards at the 2017/2018 event held in Warsaw. This time we were awarded ‘European Public Vote’. Introduced live two-way video chat for clients. Won ‘Best Platform for Innovation’ at the Platform Awards. Also, we were highly commended for Best Advisor Platform under £10bn. Became double award winners at the Money Age awards, with True Potential LLP winning Innovation in Consumer Finance Award. Named winners of Best Platform Provider at the Schroders UK Platform Awards. Launched our exclusive True Potential Managed Portfolio Series to all advised clients. Launched True Potential Investor on Apple Watch – the first personal finance Apple Watch app in the UK. Launched online investment service, True Potential Investor. This direct-to-consumer service offers ISAs, GIAs and personal pensions on a non-advised basis to the general public. Much like our client sites, investors can manage their investments online and top up their accounts with impulseSave®. Launched impulseSave®, a first-of-its-kind technology that allows investors to add as little as £1 to their existing investments. By offering impulseSave® online and via our tablet and smartphone apps, we empower our clients to top up their investments on-the-go and reach their financial goals. Our board of directors is responsible for overseeing the activities of True Potential LLP. 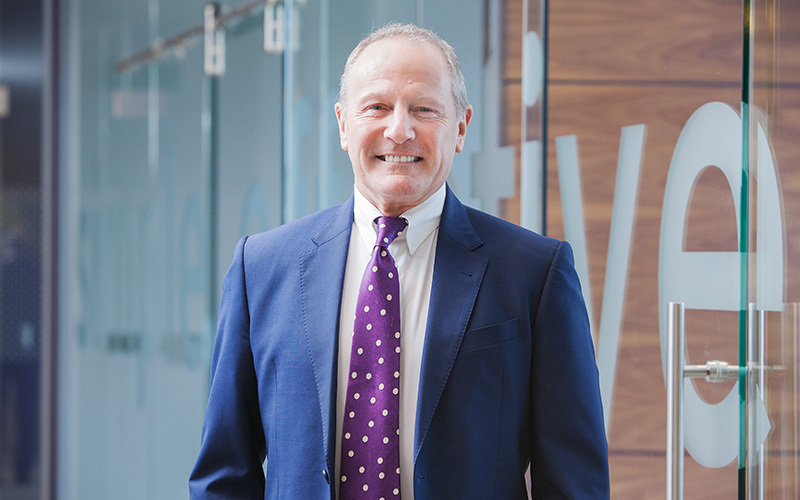 In 1997, David founded financial services firm Positive Solutions and grew the business to the largest in the country, representing 1,900 independent financial advisers (IFAs), with a turnover of £114 million and profits in excess of £1 million a month. In 2007, David became Managing Partner of Newcastle-based financial services group True Potential LLP, which had a turnover of £56.7 million in 2015 and currently employs over 250 staff and Partners. David oversees the strategic and key business decision areas for the Group and is a crusader for technological advances in financial services. His vision is to foster a nation of educated savers who set clear targets for their future and use technology to reach their goals. He also believes in the value of building the right savings habits and accessing investments in a way that suits savers’ lifestyles. This has led to the development of world-first technology such as impulseSave®, which helps savers top-up their investments from anywhere in the world with as little as £1 at a time. David invests in technology, chiefly by hiring the brightest developers from the three world-class universities on his doorstep. He currently has 24, most of whom joined the company while still students. He is a regular commentator on the UK’s savings gap crisis and has featured in coverage by the BBC, The Times and The Guardian. 2018 was another exceptional year for True Potential. We continued to grow as one of the UK’s most innovative financial service groups, offering a truly differentiated client proposition.